This is the only section of the whole Book of Sh’mot which leaves out the name of Moses, and we want to know why. Coincidence? Surely nothing in the Torah is coincidence. Everything is deliberate. Everything has a purpose. Punishment for Moses? It’s true that he committed a sin or two, but where do we find evidence of misdeeds in this sidra? Intentional? It must be. But why? 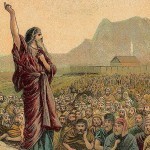 There are quite a number of well known explanations (a possibility is Moses’ own words in Ex. 32:32). One explanation which is not often discussed links up with the fact that there are parts of Tanach where God Himself is not mentioned. The most famous example is the Book of Esther. Another book without the Divine name is Shir HaShirim, where God is not mentioned though there is an allusion to him in a passage about a flame which is so powerful that it seems cosmic or Divine in its force. If we ask why God is left out of the M’gillah, can we find an answer that also helps to explain why Moses is left out of Parashat T’tzavveh? It could be that in ancient Persia, the setting of the Esther story, and in whatever happens in life, God is present and in charge even if He is not explicitly mentioned. 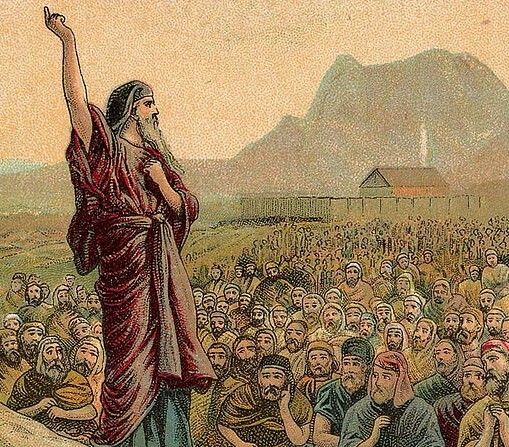 In T’tzavveh we could say that Moses’ omission shows that in Israelite history, in the entire Torah, and in Judaism as a whole, the influence of Moses is ever-present even if he is not named.